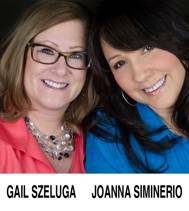 Gail and JoAnna's Real Estate Thoughts: Manalapan Township Welcomes Super Wawa! A great time was had today by all who attend the Grand Opening of the Super Wawa in Manalapan Township. This location marks the third Wawa operating in Manalapan Township, although it is the first to offer both a retail store as well as a gasoline facility. Wawa’s core purpose, as taken from their corporate website, is “To Simplify Our Customers' Daily Lives” and the new location seems primed to do just that! Conveniently located at the intersection of Route 33 and Woodward Road, this Super Wawa offers competitive pricing on gasoline, as well as an all new store design, new in-store graphics, colors, restroom design, and merchandising features. Wawa offers a large fresh food selection, including Wawa brands like Built-to-Order® Hoagies. They also offer award-winning Freshly Brewed Coffee, the Sizzli® hot breakfast sandwich, quality dairy products and Wawa brand juices and teas, a wide selection of ready-to-go salads, and fresh fruits. Wawa Director of Store Operations, Jim Shortall, led the event alongside Assemblyman Rob Clifton, who called Wawa “a great corporate citizen”, acknowledging them for bringing new jobs to the community. Store Manager, Lorena Goodman talked about the new store being viewed as “friends and neighbors helping our friends and neighbors.” Based on the generous contributions and community spirit I witnessed today, I’m inclined to agree with her! Wawa donated $2,500 directly to the Monmouth County Food Bank, as well as an additional $1,000 which was given to the Union Beach Disaster Relief Fund, through Manalapan Township’s EMT Division. As if that wasn’t enough, thanks to a long line of volunteers creating a chain of support, 500 Hoagies were loaded into a delivery truck to make their way to feed relief workers in the Union Beach Area. Join me in extending a big old Manalapan Welcome to Super Wawa by stopping by and showing your support for our newest business. Oh, and I should tell you, the coffee is FREE for the next 10 long, yummy delicious days! !